Autor: Aleshin V.V., Il’kaev R.I., Klishin G.S., Seleznev V.E. 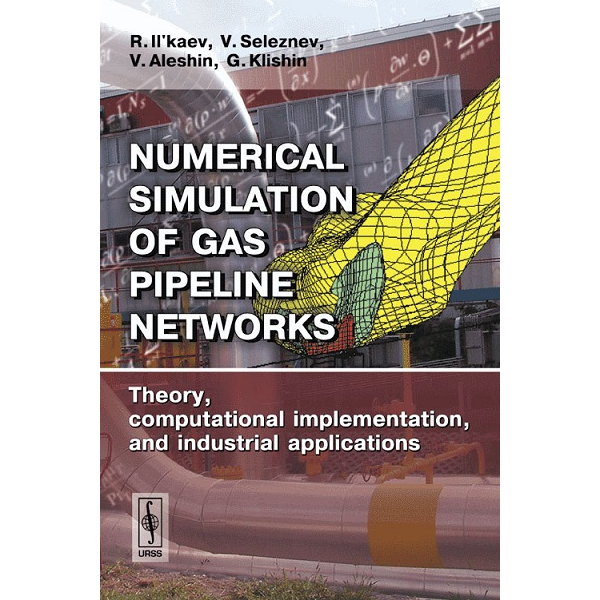 The book considers computation technologies and methods for numerical simulation intended for solving the problems of improving the operational safety and the efficiency of industrial gas pipeline networks. This approach is based on modern methods of computational mechanics and mathematical optimization. The application of these methods and technologies is aimed at an integrated assessment of the state of the gas pipeline networks of industrial enterprises and the creation of efficient safe modes for their operation. These methods can be applied both at the stage of a pipeline network’s design and at the stage of its operation. They allow for the development of efficient automated hardware and software systems for the early detection and prevention of dangerous malfunctioning of a pipeline network. They can be of use for development and efficiency analysis concerning anti-terrorist activities at big industrial energy plants. Practical applications of computation technologies and methods of numerical simulation are illustrated with examples of solving industrial problems for gas industry enterprises. The authors demonstrate the efficiency of these technologies and the methods for improving the safety of the oil pipeline networks serving thermal power stations. The book is intented for scientists and engineers who deal with the design of pipeline networks, the analysis of their actual state, pipeline network insurance and control, improving their industrial safety and environmental friendliness, in the context of a wide range of environment-oriented measures. The material is also comprehensible to graduate students in technical high schools. 46 tables, 362 figures. Bibliography: 392 titles.